You are here: Home › EXCESSIVE SCREEN TIME IS LINKED TO DEPRESSION IN TEENS! EXCESSIVE SCREEN TIME IS LINKED TO DEPRESSION IN TEENS! New technologies are everywhere and these make us many services, such as entertainment, knowledge sharing and much more. However, the other side of the coin exists. Abusing digital tools, staying stuck in front of an electronic screen for too long is bad for the health. 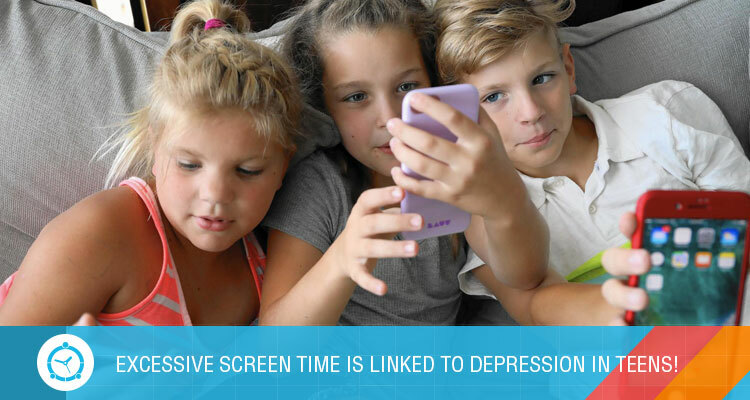 Everyone is able to notice the negative effects of increased screen time such as sleep depreciation, physical illness, mental disorders or the addiction, etc. Many studies show that screens disrupt children’s sleep, and that excessive use of the Internet is harmful to our memory. Excessive time on electronic devices is linked to a higher risk of depression and suicide among adolescents, especially girls, according to research from the University of Florida (USA) published in 2017. The research convincingly shows that the more teenagers spend time on smartphones and other electronic displays, the more likely they are to feel depressed This new study states that screen time should be considered as a modern risk factor for depression and suicide. Indeed, according to the researchers, there is a disturbing relationship between excessive screen time and the risk of death from suicide, depression, suicidal thoughts and suicidal attempts. All of these mental health issues are very serious, and researchers believe that parents should think seriously about how their children use new technologies. Parents need to be encouraged to monitor and control their children’s time, as teens spend more and more time on screens, and this activity is linked to depression and suicide-related behaviors. The research states that “rates of depression and suicide among teenagers aged 13 to 18 have increased dramatically since 2010, especially among girls.” And the reason behind this drastic increase is the “excessive use of electronic devices”. The study also brings forward the facts of National survey that indicate an increase in the number of teenagers describing symptoms of severe depression by 33% and along with that, the teen suicide rate has gone up by 31% between 2010 and 2015, while a national survey shows that the number of adolescents reporting symptoms of severe depression increased by 33%. The study found that the increase in “teen mental health problems since 2010 concurs with the rise in cell phone ownership. Research shows that in 2012, just half of the American teens had a phone, whereas in 2015, almost 92 percent of teens owned a digital device with increased usage time. The researchers pointed out that their results do not prove that screen time causes depressive symptoms or behaviors related to suicide, but the results show a clear link. Considering all these facts, parents are suggested to limit screen time for teens using advanced digital apps. Also, mind that it is totally impractical to think that children will stop using screens. Hence, the moderate approach should be adopted the tech use should be made intelligently. In addition to using the app, parents should try to develop as many screen-free activities as possible while making them as attractive as possible, such as spending time with friends and family, practicing a team sport, discovering historical sites around the home, meditate or do yoga, or for example help the elderly in city to maintain their garden, there are many stimulating activities. PARENTS ON ALERT – KIDS DIGITAL EXPOSURE IS INCREASINGLY BECOMING PRIVATE! 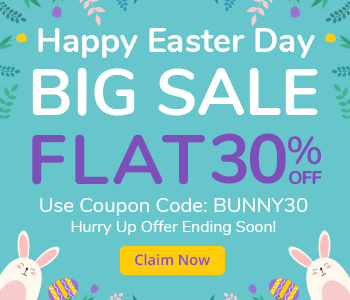 MAKE EASTER SAFE FOR YOUR KIDS WITH FLAT 30% DISCOUNT ON ALL FAMILYTIME’S PREMIUM PACKAGES!